Leon Trotsky recalled in his autobiography: "On 21st February, we received new terms from Germany, framed, apparently, with the direct object of making the signing of peace impossible. By the time our delegation returned to Brest-Litovsk, these terms, as is well known, had been made even harsher. All of us, including Lenin, were of the impression that the Germans had come to an agreement with the Allies about crushing the Soviets, and that a peace on the western front was to be built on the bones of the Russian revolution." By John Simkin (john@spartacus-educational.com) © September 1997 (updated October 2018). (1) In November, 1917, Vladimir Lenin sent Leon Trotsky to negotiate with the Central Powers at Brest-Litovsk. Trotsky wrote about these negotiations in his autobiography, My Life. It was obvious that going on with the war was impossible. On this point there was not even a shadow of disagreement between Lenin and me. But there was another question. 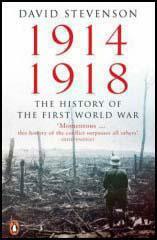 How had the February revolution, and, later on, the October revolution, affected the German army? How soon would any effect show itself? To these questions no answer could as yet be given. We had to try and find it in the course of the negotiations as long as we could. It was necessary to give the European workers time to absorb properly the very fact of the Soviet revolution. (2) In his autobiography Leon Trotsky explained why he signed the Brest-Litovsk Treaty. On 21st February, we received new terms from Germany, framed, apparently, with the direct object of making the signing of peace impossible. By the time our delegation returned to Brest-Litovsk, these terms, as is well known, had been made even harsher. All of us, including Lenin, were of the impression that the Germans had come to an agreement with the Allies about crushing the Soviets, and that a peace on the western front was to be built on the bones of the Russian revolution. On 3rd March our delegation signed the peace treaty without even reading it. 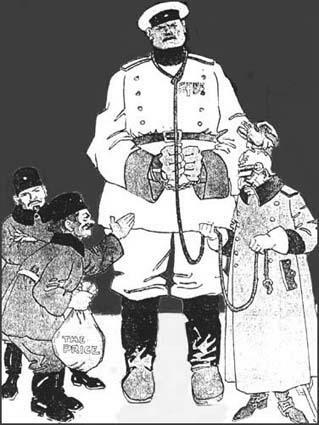 Forestalling many of the ideas of Clemenceau, the Brest-Litovsk peace was like the hangman's noose. On 22nd March the treaty was ratified by the German Reichstag. The German Social Democrats gave their approval in advance to the future principles of Versailles. The final peace treaty has been signed with Russia. Our conditions are hard and severe, but our quite exceptional victories entitle us to demand these, since our troops are nearly in Petersburg, and further over on the southern front, Kiev has been occupied, while in the last week we have captured the following men and items of equipment: 6,800 officers, 54,000 men, 2,400 guns, 5,000 machine-guns, 8,000 railway trucks, 8,000 locomotives, 128,000 rifles and 2 million rounds of artillery ammunition. Yes, there is still some justice left, and the state which was first to start mass murder in 1914 has now, with all its missions, been finally overthrown. arms.